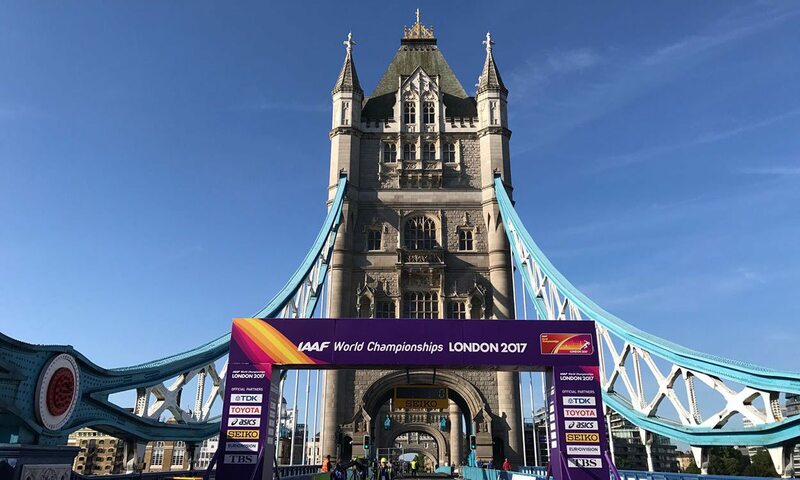 Following the conclusion of the IAAF World Championships in London, The Great Run Company and FilmNova TV production received praised for their “vital contribution” to the successful delivery of the event. The Great Run Company, organisers of the Great Run series which features the world’s biggest half-marathon, the Simplyhealth Great North Run, was the LOC delivery partner for the out of stadium marathon and race walk events. The role, which included the creation of an innovative four-lap marathon course starting and finishing on the iconic Tower Bridge, also saw FilmNova coordinating and delivering the live host broadcast for the events over consecutive weekends. It was the first time the men’s and women’s marathons had been staged on the same day, with the 20km and 50km race walks being presented on an iconic 2km circuit on The Mall in front of Buckingham Palace. Two years of extensive planning, working with key stakeholders, were required to deliver the events in central London, to not only showcase the city of London, but also to minimise disruption. Cherry Alexander, managing director of the IAAF World Championships, said, “We were absolutely delighted with the professionalism of The Great Run Company and FilmNova who both made a vital contribution to the successful delivery of one of the world’s greatest sporting events. Matthew Coliandris, senior director for FilmNova, coordinated the host TV coverage, with Joe Milner and Colin Murphy, event managers at The Great Run Company, taking the lead roles in organising the marathon and race walks respectively. John Miley, infrastructure manager, was responsible for coordinating the IT services around the events.